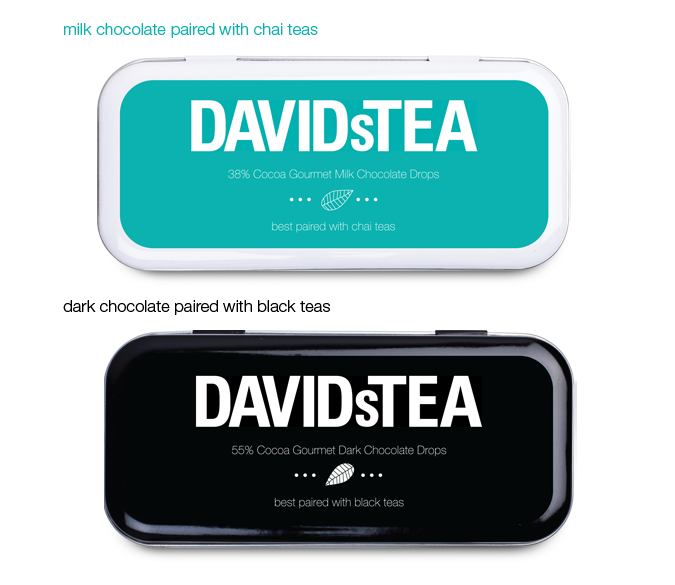 Chocolate product packaging for DAVIDsTEA. 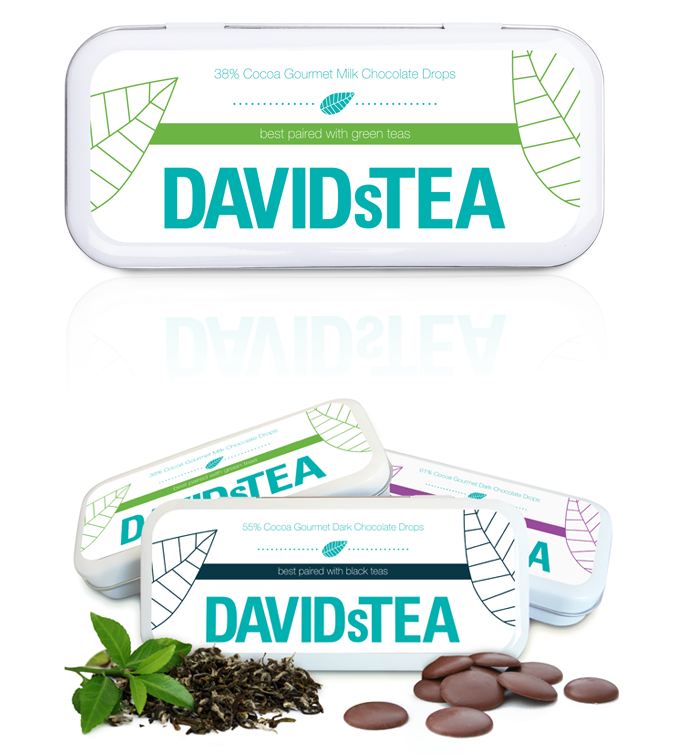 We chose 8 cocoa percentages of our gourmet, all-natural chocolate drops to pair with a variety of teas available at DAVIDsTEA. 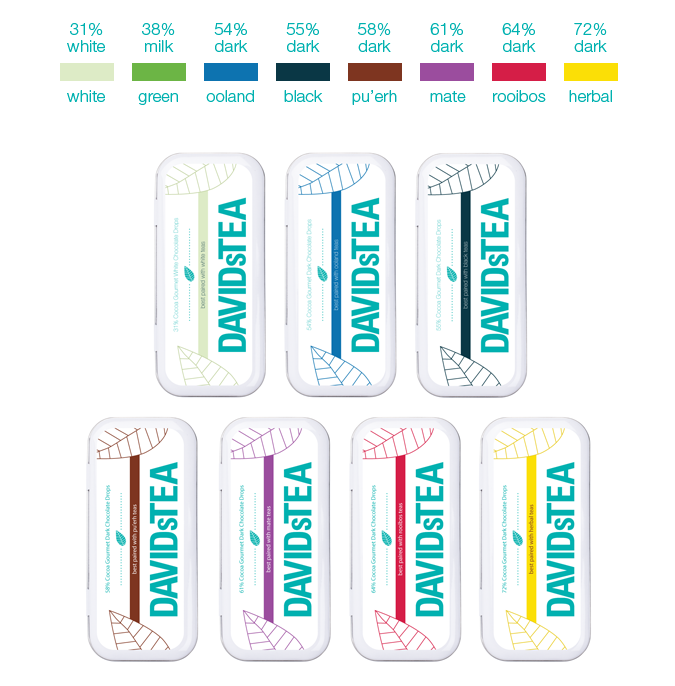 White, Milk and Dark chocolate matched carefully to perfectly complement the quality of these specific teas — packaged in our signature re-usable tins.